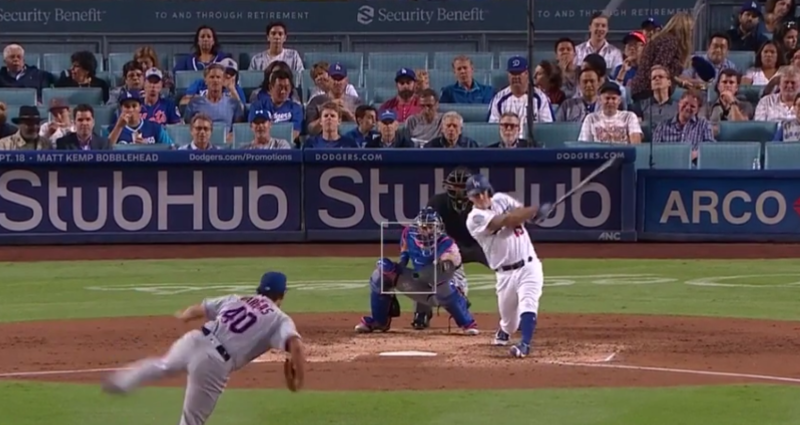 Dodgers 11, Mets 4: After getting down early, the bats explode, led by … Austin Barnes? While it’s hardly ideal to lose any game to the Mets, yesterday was an understandable one considering the Dodgers were up against Jacob deGrom. Today was a different story, as Jason Vargas has been atrocious, and while things didn’t start great they thankfully did end great as the Dodgers cruised to an 11-4 win. Things certainly looked bleak early as Rich Hill was bitten by the home-run ball. He gave up a two-run shot to Jay Bruce in the 2nd, and also surrendered at two-run shot to Michael Conforto in the 3rd. That put the Dodgers down 4-0 early, but Hill did rebound, allowing just a hit in the next three innings. Hill went six innings on 101 pitches tonight, giving up just the aforementioned runs on seven hits and a walk. He did strikeout eight, and I’m not concerned in the big picture, but sometimes it’ll happen to him. Brim also picked up on something that could basically be tipping. As it turns out, that wasn’t that big of a deal. The Dodgers scored 11 unanswered runs and totaled 13 hits and three walks. They started chipping away in the 3rd behind an unlikely pair in the struggling Chris Taylor walking and the struggling Austin Barnes ripping a dong to left, his second of the season. David Freese then made an impact of his own in the 3rd, smacking his first homer as a member of the Dodgers and 10th of the season. That was just the start of things, as Enrique Hernandez followed with a single and Taylor doubled to set the table. Barnes then reached on an error, which tied the game, 4-4. Hill attempted to safety squeeze but he directed the bunt directly back to the pitcher and CT3 was caught at home. Barnes then stole third, and he eventually scored on a Brian Dozier ground out to put the Dodgers in front, 5-4. Clinging to a lead, the Dodgers blew things open with a 6-run inning in the 7th. Justin Turner and Manny Machado started things with back-to-back doubles, and then Manny ended up scoring from second on an especially wild pitch to make it 7-4. 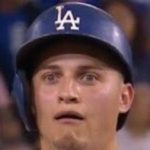 Matt Kemp then walked and was pinch-ran for by Tim Locastro, who promptly stole second and then came home to score on a Freese double. Enrique followed with a single of his own to plate yet another run to make it 9-4. Runners were at the corners after CT3 also singled, and with two down Yasmani Grandal stepped up and added a single of his own to right that drove in two and capped the scoring at 11-4. That left the pen to protect the lead, and they did so in mostly routine fashion. Pedro Baez gave up a double in his scoreless inning … well, sorta. The hit was a blooper that fell between three Dodgers, and his resurgence continues. Zac Rosscup then entered and gave up a hit as well, but struck out the side without allowing damage. With the game a blowout, Josh Fields made his first appearance since a stint on the DL and it went horribly. He gave up two singles and a walk in just 11 pitches to load the bases and was quickly removed. Pat Venditte entered and didn’t allow a run to score, inducing a pop-up, getting a strikeout, and ending the game on a fly ball … to the warning track. They are making him do it. The Dodgers improve to 76-63 with the victory, and remain a half-game back of the Rockies (won) in the NL West. A bit of an early game tomorrow at 1:35 PM HST/4:35 PM PST/7:35 PM EST, as Hyun-Jin Ryu will take the mound against Zack Wheeler.